Have you ever found a rare coin? Every few months both my children get their bag of treasure down to look through it. They are ages 7 and 11 and to them all their coins are rare. They look at their coins with amazement that only children have and point out every little detail on each coin. They use the Internet searching for their exact coin to learn more about it. Just seeing a picture of the same coin they have excites them. They can't get enough of the dream of possibly finding treasure. They have silver dollars, Susan B. Anthony coins, Indian head pennies and buffalo nickels, wheat pennies and more. Some of the coins they have are real silver. The value of the coin is higher than its face value even though it is not considered rare by collector standards. It might even be worth more melted down for the silver it has. These children their coins are priceless. They honestly believe they are worth thousands of dollars. How could a coin in such great shape, shiny with minimal scratches not be worth something? Watching them continue to look for that special coin (rare to their collection or rare to the world) brings me back to childhood when everything new was fascinating and seemed to be a wonderland. I remember as a child counting and wrapping coins with my parents. I was sure all those pennies I had worth millions, as I counted the heaping pile sitting in front of me. How could a pile of money not be worth a lot? Seeing people on the news finding antique coins near where we live, then seeing the value of coins on the internet leads me to believe that many of us simply see a coin for the printed value it has and we never even realize that the change in our hand could be a goldmine... we continue secretly hoping for treasure. 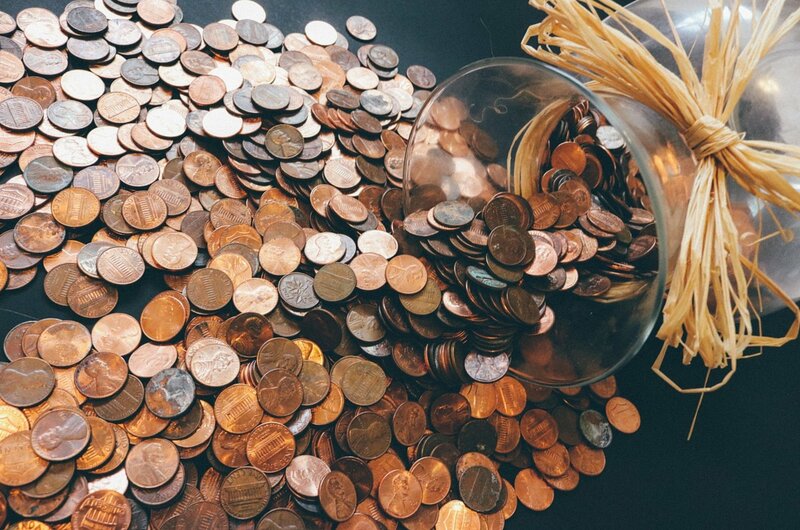 How many times have you dropped coins into an old water jug without looking at them at all? What we see as a penny might actually be a treasure. Just because a coin you have doesn't look any different from the rest does not make it the same. For instance, 1943 was a year when copper was conserved and steel was used to make pennies. You might think that since the penny is made of steel it would be valuable but in reality if you find a 1943 penny made of copper that is the one of value. It will look just like all your other pennies but it is significantly different because a copper 1943 penny could be worth between $100,000 and $200,000. That is a great profit from its face value of 1 cent. The value of coins change based on demand. If a collector is searching for something and can't find it, your coin which was worthless last year might be of value now. If they are no longer minted then the only coins available are the ones in circulation. Another fun family adventure is to search for coins with mistakes. There are 3 legged buffalo nickels, coins double stamped, and more. It makes coin collecting fun and there is always that chance you might find something of value. I have a new outlook on coins and thanks to my children will start slowing down and enjoying everything about life. The real treasure is sharing time with family. Treasure is within reach but we are too busy looking elsewhere that we fail to see it. It is all an adventure, and we all have treasures, even if they are not of value to the world. About the Author: Vicki loves to write about events that happen in her life, they probably happen to you as well. Visit her at vickistoughlove.com or on Facebook at VickiStanleyBrown. Copyright © 2017 by Vicki Stanley Brown. All rights reserved.